Today in this blog I am going to tell you the best tools for Keyword research for your YouTube videos. Personally, I use all of these the combination of all of them to rank my video on YouTube. And if you are serious about ranking your videos I recommend you to do the same. 1. Tube Buddy- They have a Free version and a Paid version. Tube buddy Keyword Explorer tool is very cool because it's let you type in a specific word or phrase that you are trying to rank your video for and it let you know the score or your probability of ranking for that based on your channel specifically or just any channel as a whole. That's a huge win and it also shows you other ways that people might search for that same thing. And sometimes that same exact feature can even give you some new ideas which are pretty cool. They even show you the most used tags for that term so that you can make sure to include them in the video that you are trying to rank as well. 2. Morning Fame- Now morning fame is really cool because they have a feature where they actually walk you through the process of optimizing your video for search, which is really cool. 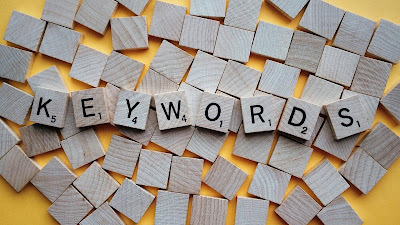 Basically, all you have to do you have to put in a topic that you want to rank for and they are going to show you common and uncommon Keywords based on the topic. They will show you where your benefit is mostly in terms of Subscribers, Views, Interaction and off course Relevance which is one of the main things that will help you rank inside of YouTube. As a matter of fact, one of the really cool things about Morning Fame is they have relevance workshop and basically what that is you start putting your topic together you say this is the title I am gonna use, this is the description I am gonna use, this is the tags I am gonna use and then it's going to give you a score based on your relevancy. And you can see in real time as you put the stuff together like hey I am going to put this in my title, then I put this in my description, then I put this in my tags then I will get a higher score so that lets you know this is optimized pretty good, I am gonna run with this. They also recently added a feature which will help you to learn how to rank your videos on YouTube and on Google because why not tap on the no.1 traffic resource on the Internet to try to get to your videos. I don't know to make sense to me because I get a lot of traffic from Google and you should too. 3. Keywords Everywhere- Keywords everywhere which is a free browser plugin for Google Chrome, Firefox, and Safari. Keywords Everywhere are fantastic for letting you know a general interest for a specific term that you are trying to rank your videos for. This one is cool because it pretty much runs on automatically you don't have to do anything you all have to do is install it. When you installed it then as you are typing different things that you want to rank for. You gonna a see a number pop up next to it. This gonna a show you a general interest for that term and there you can recognize other terms that are getting higher search volume and you can decide to go for them or you can decide to go with the one you are originally for in the first place. This is a pretty awesome tool. 4. Google Trends- This one is also Free and this one is given to you by Google. I am it's really given for day but it so that you can use it. Google Trends has a YouTube specific search filter on. All you do is on the search page you click on Web Search or YouTube Search. And of course like I said it before because of the importance of getting traffic from Google as well. You can also check the same interest to see if the same topic is trending on Google as well as YouTube. It's kinda like a bonus win. But anyway the cool thing about Google Trends is if you go and you put in the term you want to rank your video for or the topic you want to rank your video for this is go on a like that interest of the term if it is on the rise or if it is on the decline so that you can say hey I am gonna get future traffic for this because the interest is climbing or at least it's steady so that I know it is evergreen topic so I can make a video for this. Then I probably get traffic from it for a very long time and it also lets you compare how people search for specific things, which is really cool. For example, when I make a video on Tube Buddy I know that I need to make sure that I put words together because people search for that more than they search for the words about. And I am trying to rank my videos for the things that people think to search for the most.